Thinking of getting that special someone a homemade gift this Valentine’s Day? How about adding some romance to the evening with candles! I’ll let you in on a little secret, I actually made these candles as Christmas gifts this year, but they could easily be gifted for any holiday or occasion! 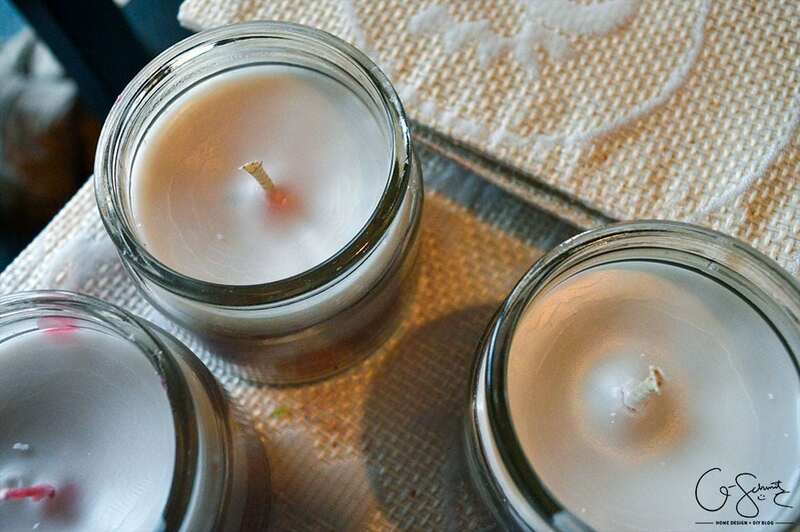 Ready to find out how to make your own homemade DIY scented candles!? 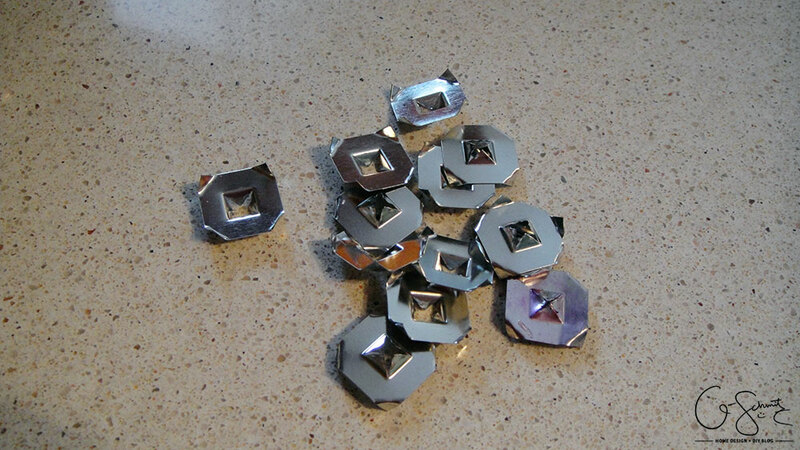 (You can always check out a local craft store like Michael’s and they will most likely carry these supplies). 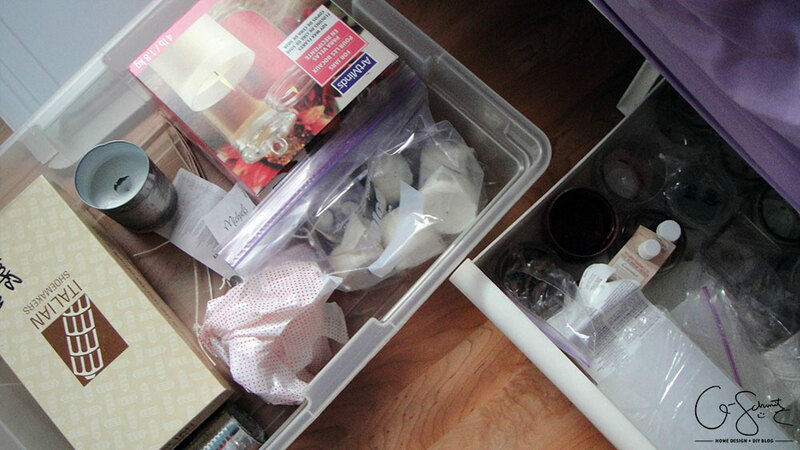 And, if you have a bit of time to prepare, you can always start accumulating supplies ahead of time. 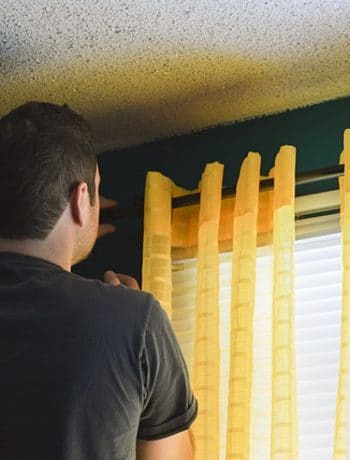 For example, rather than buying fresh wax, you can always get friends or family members to donate their “leftovers” to you (of if you regularly burn candles, just scrape up the remnants and store it). You can even use the original candle jars for your homemade candles! 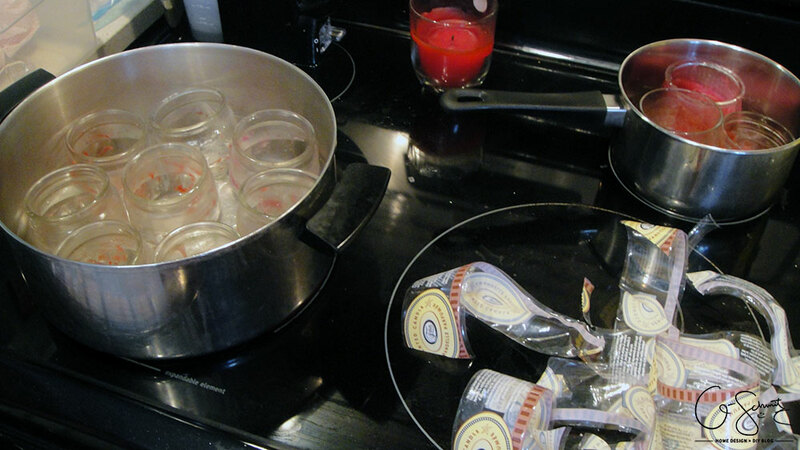 Make sure to peel off all the labels, and then you can clean the jars in some warm water on the stove (using a napkin to wipe off any excess wax). 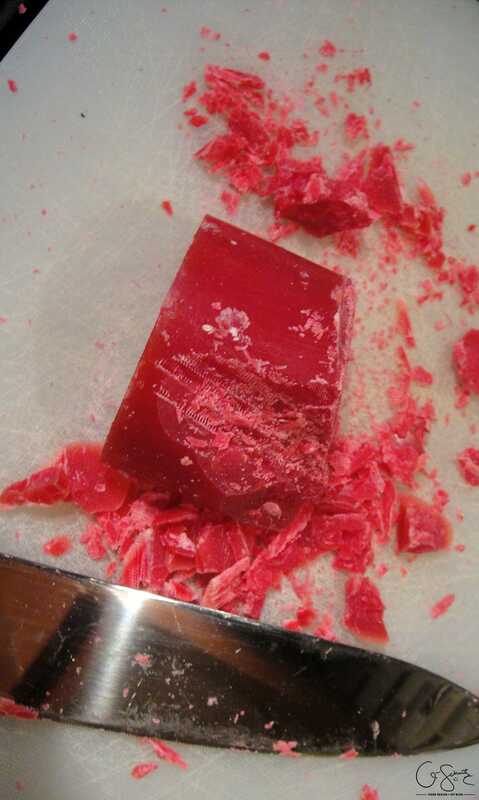 If you have some wax leftover, you can always melt it down this way too (or use a butter knife and stab the chunks out when the wax is hard). Another way to get “free” wax is to use up old candles. Have you ever had a wick burn down below the wax and you still have plenty of candle left? 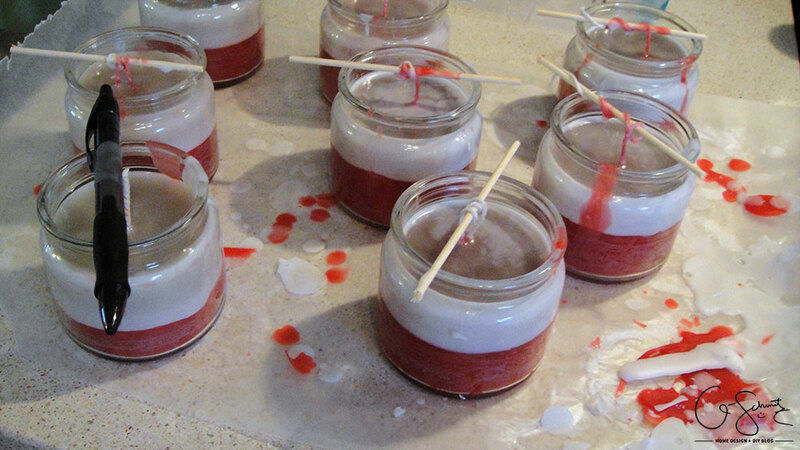 Instead of throwing the candle away, use the wax to make new candles! 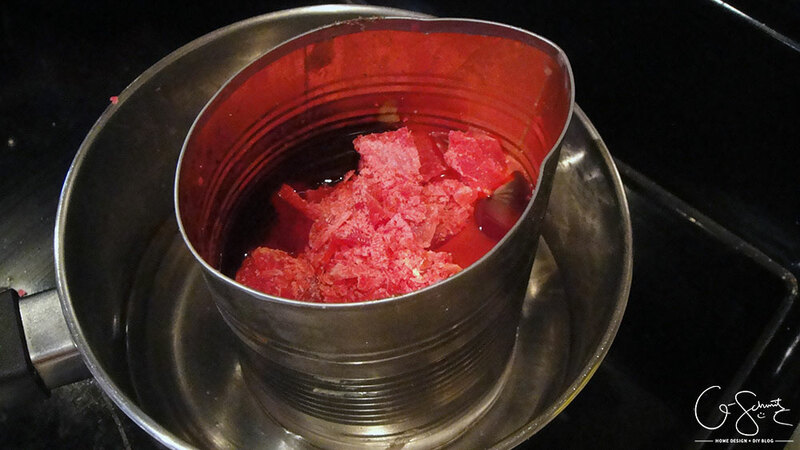 Once you have your wax (whether you buy fresh wax or use leftovers) you’ll want to melt them in a can using a double boiler method. It helps if your can is squished into a spout shape. Be sure you don’t boil the water, because the can will jump all over the place! If you’re adding a scent, you can put in a few drops at this point. While your wax is melting, you can start prepping your wicks! You don’t need metal wick holders, but they save a lot of time and headache. Simply string your wick through the bottom and close the prongs to hold the wick in place. Note: you can always buy the pre-tabbed candle wicks, which will also save a step or two. I like to place my jars on a lined surface, because wax is messy! 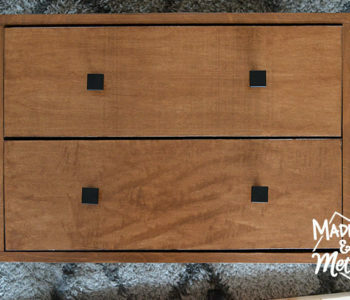 To hold the wicks up straight, I use dowels and either wrap the top part around (or use tape) to hold them straight up. 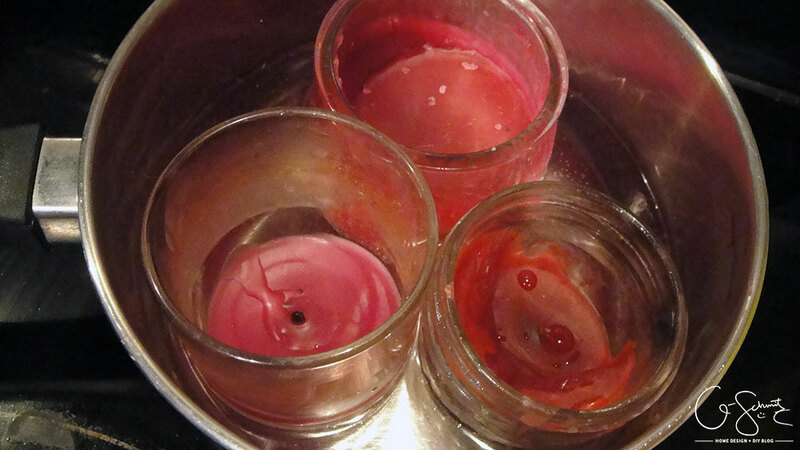 Another method is to dip your wick in the melted wax and hold it straight until it dries. 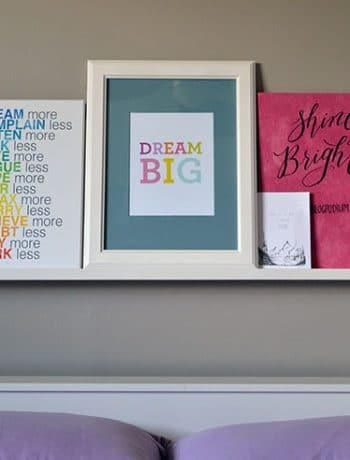 If you don’t have dowels, pencils and pens work perfectly fine! (Some wicks have a built in “strong core” so they stay up better). I like to add a few more drops of scent when everything is melted (just in case it wore off from before). 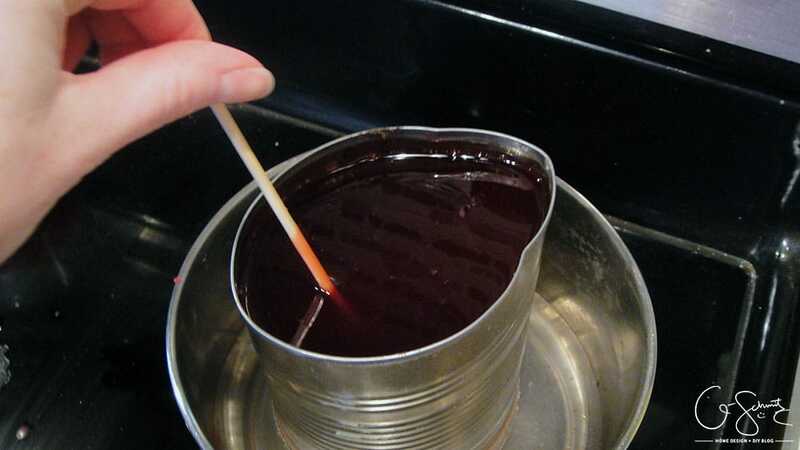 (I use oven mitts to hold the hot can – which also adds to the difficulty of pouring the wax). 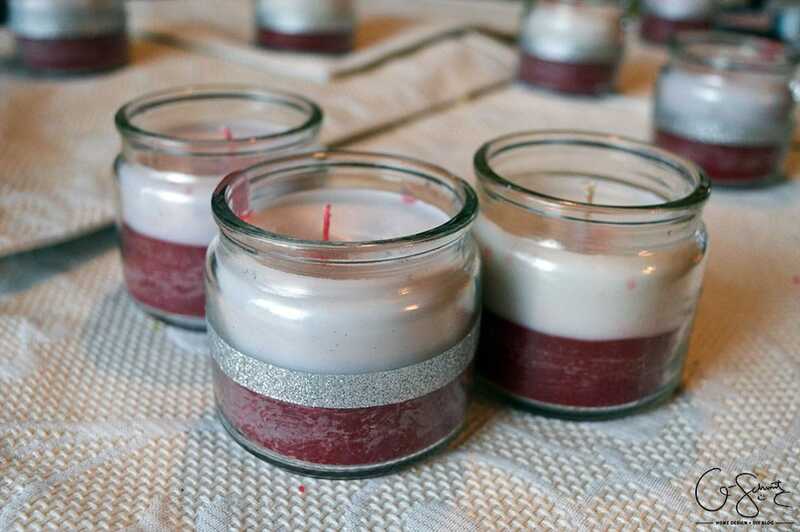 For my candles, I chose to do a two-tone look – but feel free to make yours however you want! 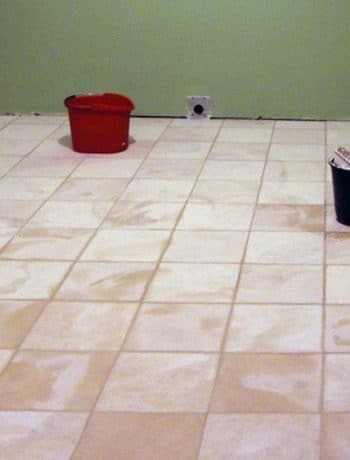 Once your wax is poured, all you need to do is wait for it to cool off and harden. You can also add a drop or two of scent to each of the candles while the wax is still warm (I’ve found that no matter how much scent I add, it never seems to be enough!). 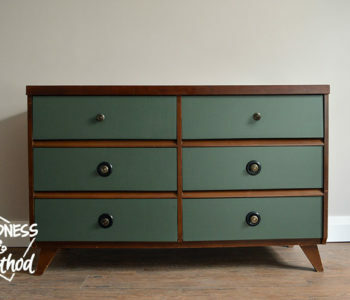 If, like me, you’re doing multiple colours, you’ll want to prep your next colour the same way. 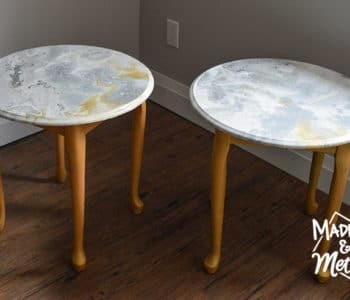 The first layer doesn’t have to be 100% hardened/cooled, but you will want it hard enough that the next layer of hot wax doesn’t mix through. (Feel free to use a different scent too! Just make sure the combination makes sense). 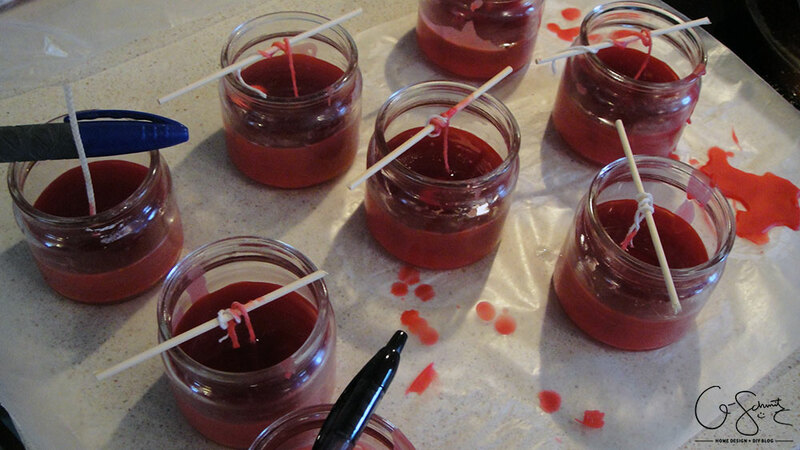 Once all the wax is hardened, you simply cut off the excess wick and clean up any messes you made. You can then decorate the candles however you want! I left most of mine plain, but on some I added a decorative sparkly border with tape. You can tie a ribbon, add a custom label, you name it! 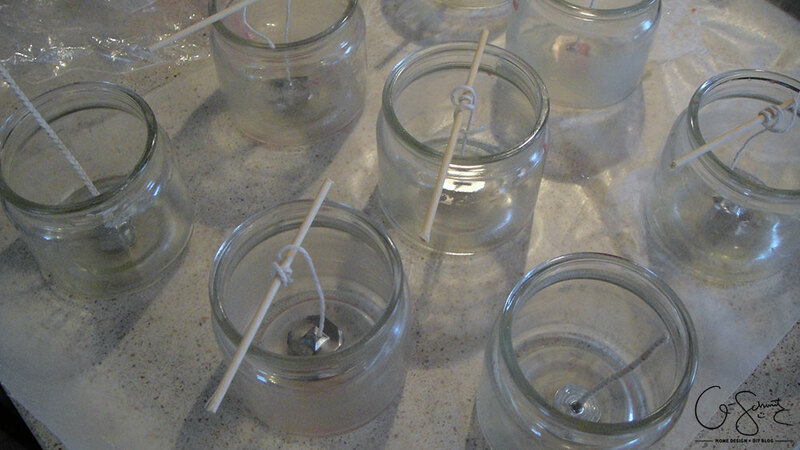 When making your own DIY scented candles, the sky is the limit! 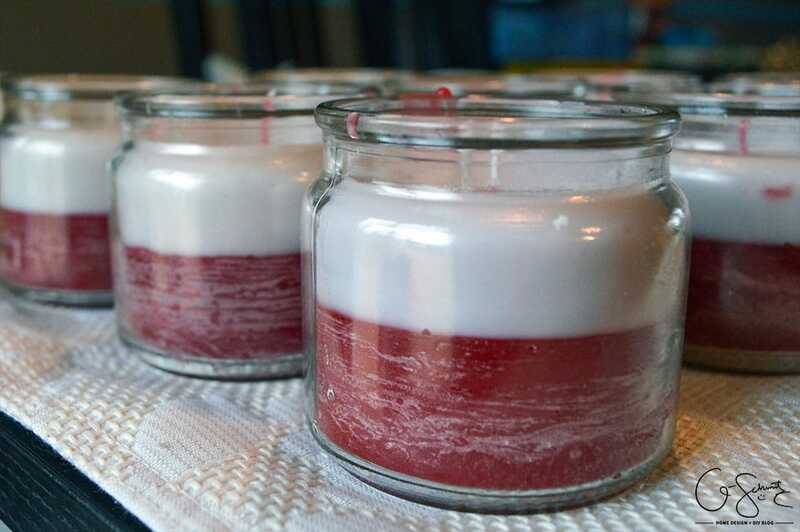 Want a 5-layer rainbow candle, go for it :) Want to make a pink candle that smells like pine, you can do that too. (Okay, I like to match the colours to the scents, but that’s just me…). There are lots of other cool candle techniques that I’ve done over the years, but these are the basic instructions I follow every time. 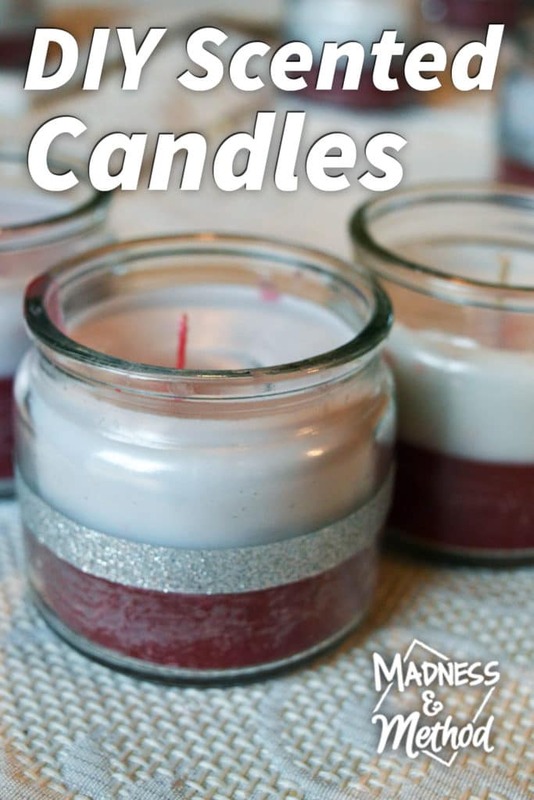 Note: if you’re using leftover wax from other candles, the original scents may compete with any scents you want to add. When I use leftovers, I try to either a) not add any additional scent and just use what the candle was, or b) add a complimentary/similar scent to enhance whatever the original one was. 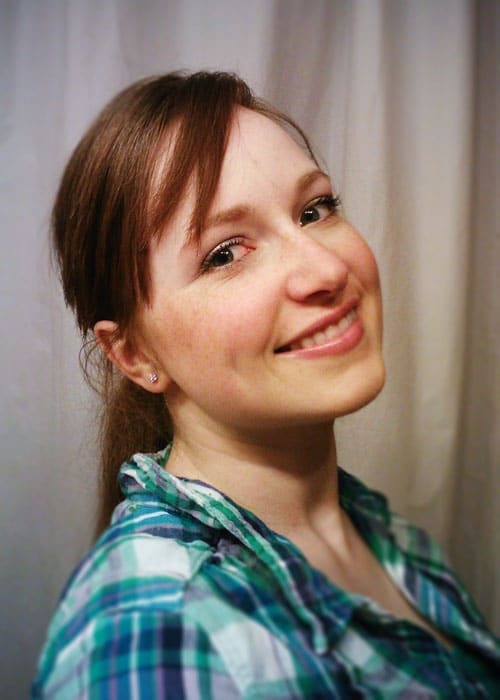 I’m really interested in trying the oven method, so maybe I’ll give that a go next time I want to make some candles.